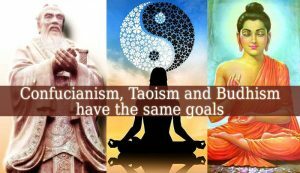 A Goal Common To Confucianism Taoism And Buddhism Is To Establish Peace And Harmony In Life. 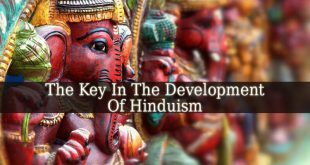 Although these religions differ a lot, not only as beliefs, but also as practices, they still have a common goal. Buddhists, Taoists and Confucianists strive to find peace and harmony. They try to create this state, not only within themselves, but also around them. Each of these 3 religions uses different practices to achieve the same goal. How to establish peace and harmony? In Buddhism – one of the main rules in a Buddhist’s life is to do good to others and to act with compassion and kindness. 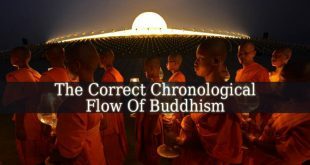 This is why Buddhists are o peaceful and happy all the time. 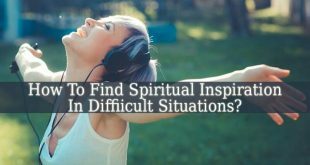 Buddhism teaches that the source of all sufferings are bad actions, hurting others, greediness, egoism and other negative behaviors. If you get rid of those, you will find and create peace. Buddhists also meditate a lot. Mostly to create order in their mind and emotions. In Confucianism – the easiest way to observe how do the followers of Confucianism find and establish peace is through The Five Virtues. The first virtue (Ren) teaches the importance of humanness. Also seen as compassion, mercy and kindness. The second virtue (Yi) represents honesty and righteousness. The third virtue (Li) reflects the importance of correct behavior. The fourth virtue (Zhi) represents wisdom and knowledge. And the fifth virtue (Xin) reflects the importance of fidelity and sincerity. Respecting all of these five virtues, there will be more peace and harmony in the world, according to Confucius’ teachings. 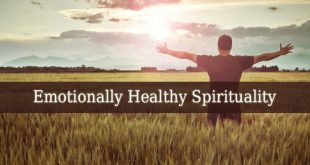 In Taoism – this religious philosophy is mostly based on the importance of being in harmony with nature. And to balance yin and yang. Nature is sacred and very important for Taoists. They see nature almost as haven. And they establish peace and harmony within and around them through prayer and meditation. They also attribute great power to incense. Using them all the time. In conclusion, even if Buddhism, Confucianism and Taoism have different beliefs, practices and view on life, they still have the same goal. The followers of each religion want to establish peace, balance, harmony and love. In other words, to create a better world. Where people are happy, loving and peaceful. 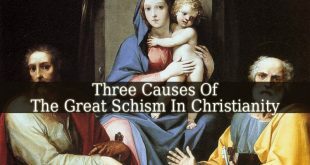 Previous What Are Three Causes Of The Great Schism In Christianity? 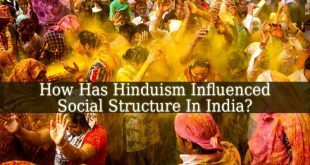 Next How Has Hinduism Influenced Social Structure In India?